We no longer undertake sculpture projects. Below are examples of what we have produced. 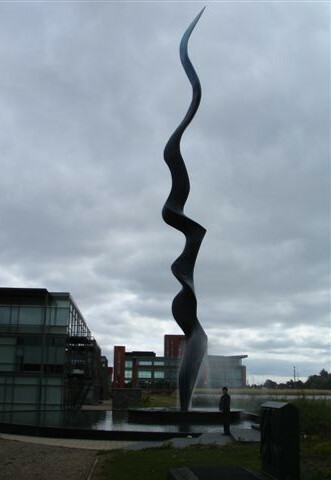 The 96 ft tall abstract sculpture by Angela Conner which graces Dublin’s Parkwest European Business Park was one of the more interesting challenges for our team. A carbon fibre shell encasing high-density foam was produced as a single piece in our workshops in 2001. As well as the challenges of manufacturing such a piece, we had to arrange a journey from Watton Norfolk to Dublin on a 125 ft transporter. 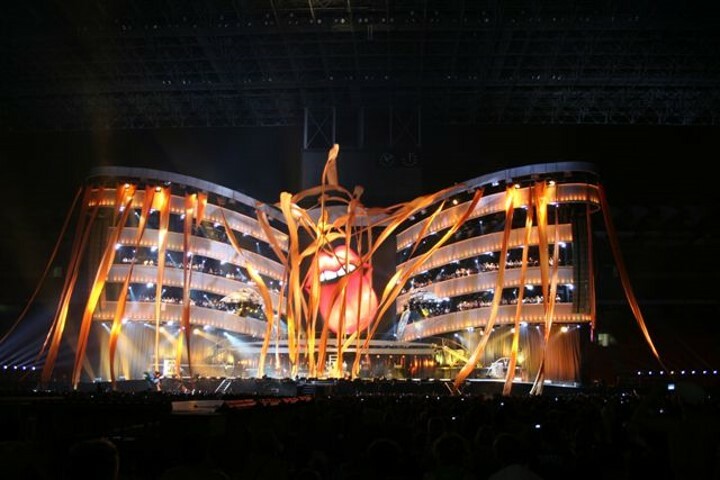 The Rolling Stones Bigger Bang tour of 2005/6 featured a stage some 7 stories high with 120 carbon fibre panels. Each carried LED spotlights and holders for pyrotechnics. Carbon Composite Parts helped with the design and constructed the lot in eight weeks from being shown a rough sketch. Sample panels had to be sent to every venue for fire testing. The set was transported and erected at 132 venues without mishap to any of the panels. 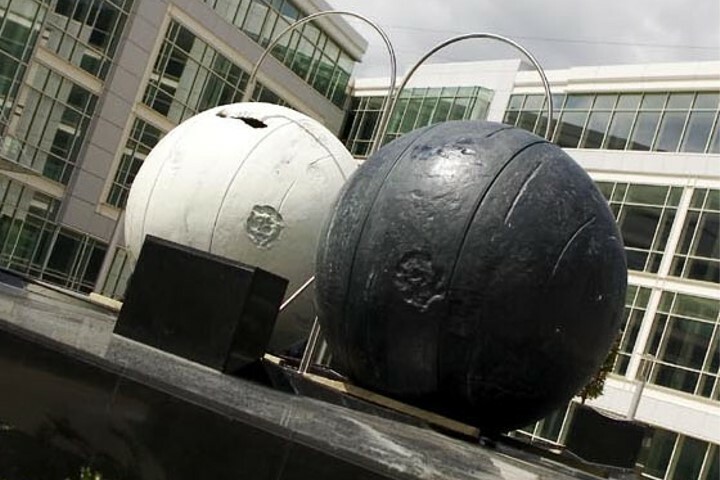 At the entrance of Dublin’s Park West is a moving sculpture of two 7ft diameter GRP balls which travel independently on stainless steel rails. Each ball has a hole which fills with water, causing the ball to roll down the track; it then empties and internal counterbalances return it to the starting point. 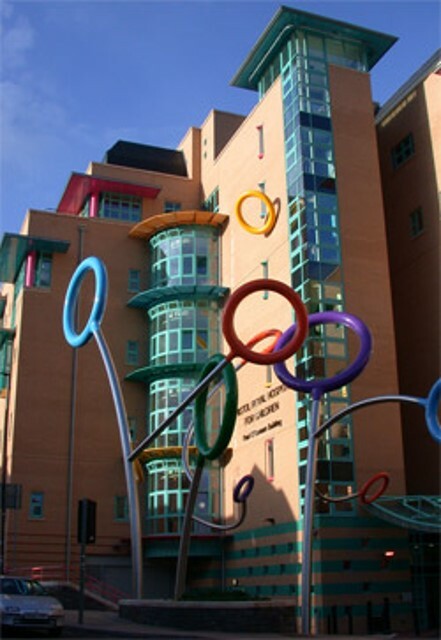 The Royal Children’s hospital in Bristol is famous for its Lollipop-be-bop sculpture. The 50 ft stainless steel branches are topped with brightly coloured glass fibre hoops holding illuminated fibre optic rope. Children in the hospital can operate the lights by a remote control panel.